A long iron/fairway wood is the key on this right hand dogleg. This will leave a short iron to a slightly elevated green. A well placed tee shot will lead to another birdie chance. Once you have found the fairway, favour the left hand side with your second to the green. 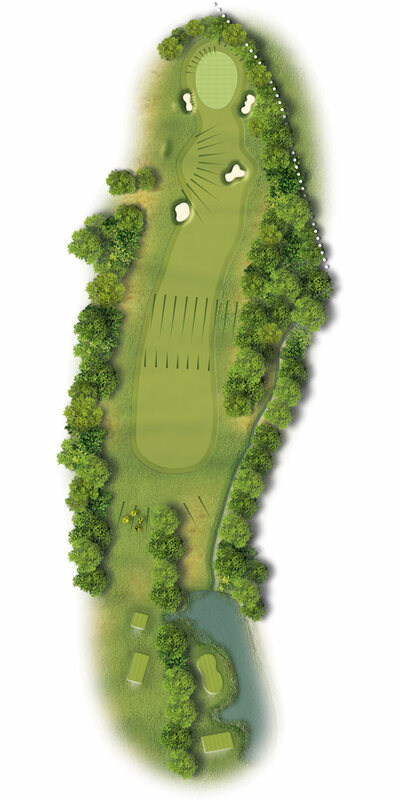 As long as you can avoid the large bunker short of the green on the left your ball will feed onto the putting surface.